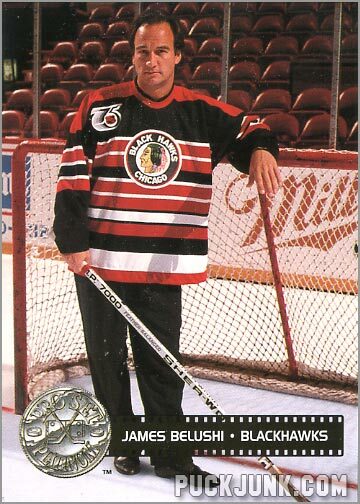 1991-92 Pro Set Platinum Card #300 – James Belushi, Celebrity Captain In 1991, the National Hockey League celebrated its 75th Anniversary. The Original Six teams wore throwback jerseys, harkening back to the 1920s. Another part of this celebration was that each of the 22 teams had its own “Celebrity Captain”. Some teams named former players … Continue reading "Black ‘n’ Belushi"